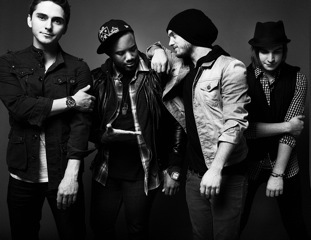 The Cab have announced they have parted ways with guitarist/pianist Alex Marshall. A statement from Alex can be found below. "Some days I wake up and have to remind myself that this life of mine is a dream. I feel so blessed to have been given all of the opportunities that have come my way in the past 7 years. It has all happened so fast and even as a wide-eyed 17-year-old kid I could not even begin to imagine the experience I would gain, the relationships I would make or the growth I would achieve in such a short amount of time. I was given a chance to do what I love, see the world and meet the most amazing people and I am grateful for that every day. Yet, I believe that what I’ve accomplished this far is only the first few chapters of my story. There are new doors opening for me and I wouldn’t be true to myself if I didn’t attempt to pursue them. Recently, I made the difficult decision to part ways with The Cab and pursue these other career endeavors. This decision was the hardest decision I’ve ever made and I don’t take it lightly. Some of you have been incredibly encouraging and I understand that this may be somewhat of a disappointment to others. Either way, I promise that I’m not going anywhere anytime soon. This is simply the next step in my journey. Being a part of The Cab has been such an amazing ride, but I have to look at it simply as a transition into this next chapter. I’ve always lived my life in search of new creative expressions and I feel like I’ve progressed as far as I can creatively with The Cab. This change is tough but necessary in order for me to remain dedicated to my vision for the future. This is not an ending by any means. This is only the beginning. 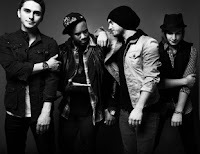 I wish The Cab continued success and I would like to thank all of the fans for the opportunity and experience, love and encouragement you have given me over the years. I hope that I can continue to produce work that you can be proud of because ultimately I do this for you. I look forward to sharing this forthcoming phase of my life with all of you."